Home » News » Congratulations to all our Award Winners! 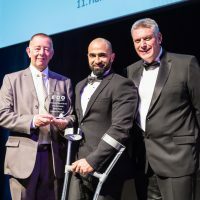 ‘Security Officer of the Year for Excellent Service’ – William Ghrairi, Access and Security Officer at the University of East Anglia (pictured left in the centre). Will responded to various incidents on campus during the year, for which he deservedly received Police commendations, and was presented with the AUCSO award for ‘Security Officer of the Year for Excellent Service’ by Wayne Kynaston of Traka Assa Abloy. 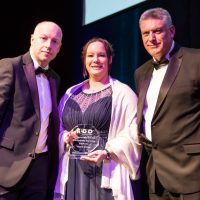 ‘Security Officer of the Year for an Outstanding Act of Courage’ was presented by Paul Evans, CEO of Carlisle Support Services, to Katie Fletcher, Deputy Team Leader of the University of Surrey. One night Katie was confronted by a group of over 100 travellers’ vehicles attempting to move on to the University’s’ land. Katie used her vehicle to block the road and despite threats and intimidating behaviour and being significantly outnumbered, Katie stood firm and was successful in getting the majority to leave the campus. 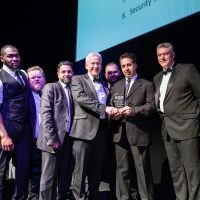 The conference hosts, Aston University, were delighted to hear that they had won the ‘Security Team of the Year’ award, presented by Jonathan Whiteley, Managing Director of Horus Security Consultancy Ltd. After a short rise in street robberies in the local area, the Aston security team one night responded when the CCTV picked up two males robbing a man (later known to be the father of a student), who was dragged away from the campus to withdraw money from a cash machine. The security team, despite not being covered by their CCTV system, followed the robbers whilst communicating with the Police. They found the victim who told them the men had been carrying handguns and took him back to the campus to care for him and his distraught daughter. 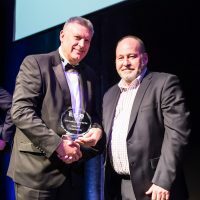 Russell Gammie (R), Head of Security at Monash University, receiving the award for Innovation on behalf of Ramze Rifaie, from Trevor Jones AUCSO Chair (L). 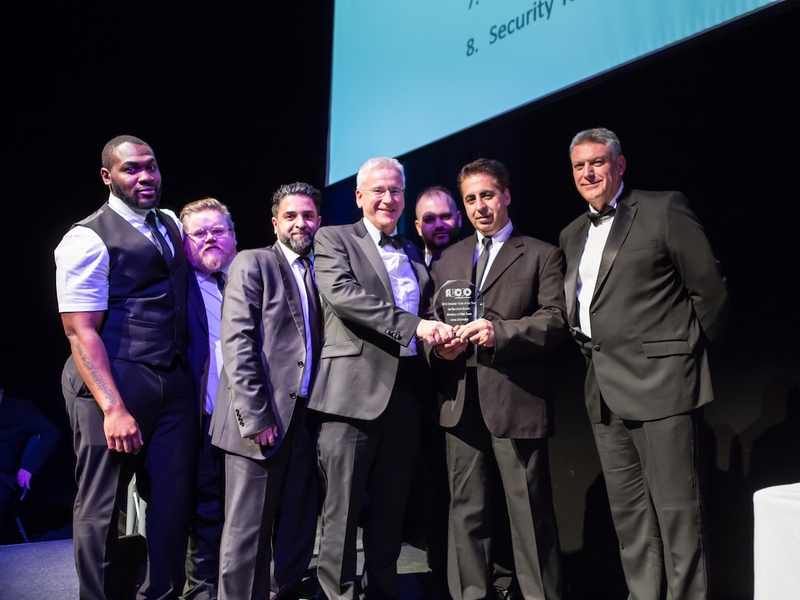 Presented by David Vousden, North West Regional Sales Manager of Avigilon, the award for ‘Innovation in Security’ was awarded to Ramze Rifaie, Security Systems Manager at Monash University Australia, who responded to a rise in street robbery in the local area, by creating a vehicle fitted with 360-degree CCTV coverage. Ramze set about researching, designing and commissioning an on-vehicle CCTV system capable of recording and transmitting live footage. The first prototype was so successful, the University now has five vehicles each equipped with HD CCTV cameras, with a range of technology. The vehicles are also branded to visibly promote the University’s commitment to public safety. Since the deployment of these vehicles, crime reports in the area have shown a significant drop in street robberies and CCTV footage has assisted Police with several arrests.